How to watch Silence of the Lambs (1991) on Netflix Australia! Sorry, Silence of the Lambs is not available on Australian Netflix, but you can unlock it right now in Australia and start watching! With a few simple steps you can change your Netflix region to a country like USA and start watching American Netflix, which includes Silence of the Lambs. We'll keep checking Netflix Australia for Silence of the Lambs, and this page will be updated with any changes. 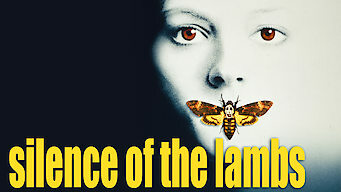 Silence of the Lambs is not available in Australia BUT it can be unlocked and viewed! FBI trainee Clarice Starling ventures into a maximum-security asylum to pick the diseased brain of Hannibal Lecter, a psychiatrist turned cannibal. A young FBI agent hunting a serial killer lets another murderer get into her head. The consequences? Could be deadly. There is a way to watch Silence of the Lambs in Australia, even though it isn't currently available on Netflix locally. What you need is a system that lets you change your Netflix country. With a few simple steps you can be watching Silence of the Lambs and thousands of other titles!